I have a love/hate relationship with trying to find new basics to round out my wardrobe. For quite some time I’ve been trying on countless basics (and not-so “basic” basics) to become my new favorite go-to pieces. I finally feel like I’ve found that and I’m going to tell you all about it so that you don’t have to waste time in search of the perfect tee/tank/cardi as well. You’re welcome. The beloved brand that I’m referring to is Bobeau (and no, this is not a sponsored post, I have no relationship to this company). I first discovered Bobeau while shopping at Nordstrom. 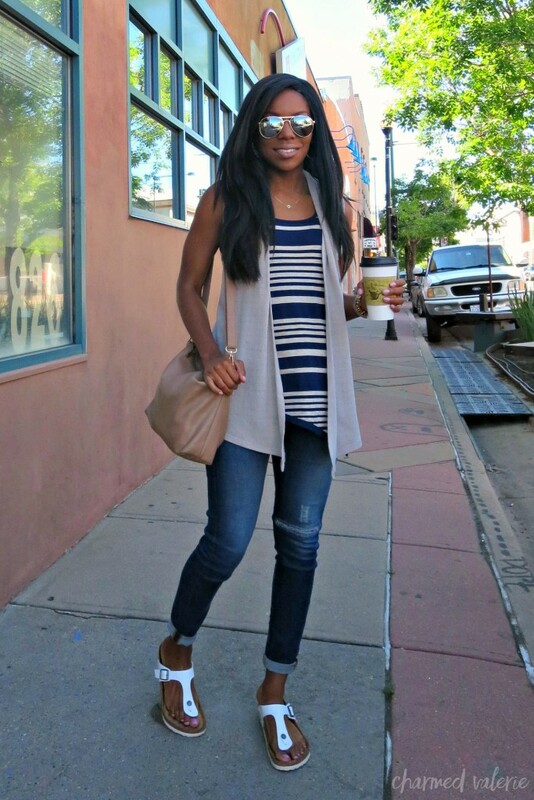 I loved this tank (below) so much for it’s softness and simple style that I searched Nordstrom’s website for other Bobeau pieces. I quickly recognized many of the clothes because I see women (and fashion bloggers) wearing them all. the. time. I love Bobeau because it’s trend-concious brand that is contemporary, figure flattering, with understated prints that you can wear on a very regular basis that go from day to night. It’s casual yet chic, affordable, and perfect for any age (juniors to women). Here are the Bobeau pieces that I’m currently obsessed with (many of which are on sale). Hover over each picture to see prices. Do you have a go-to brand for basic-ish wardrobe staples? Own Bobeau pieces you love? Let me know in the comments or tag me on Twitter or Instagram and use the #StyleMeValerie hashtag. Linking up with Fashion Friday.